What is tragedy? In modern-day usage, it is defined by an event of monumental human suffering, shrouded by pathos and disaster. In dramatic arts’ truest sense of the word, it is a fall from grace, a hero cut short of realising his full potential by flaws in his own character, or by external influences. The Greek philosopher Aristotle defined it as an art form that should provide a cathartic experience for spectators, bring about sensations of pity and fear, and to purge them of these emotions leave them feeling renewed and invigorated. In this sense, it seems strange to consider the term in relation to a career that produced over 400 goals, the youngest ever FIFA World Player of the Year, 19 major honours, two World Cups, 19 professional seasons and the fully-deserved nickname ‘O Fenômeno’. 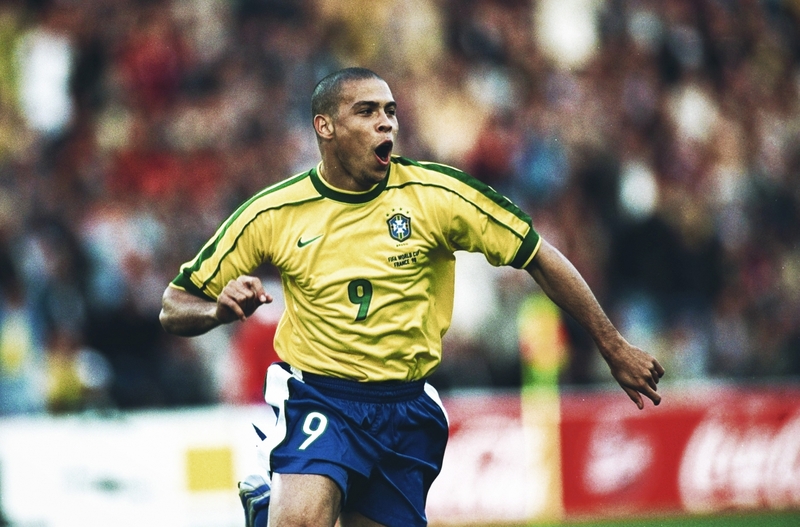 But then Ronaldo Luís Nazário de Lima was always a beguiling, mystical, awe-inspiring player. His achievements were mind-blowing, but the tragedy lies in what could have been – which is a powerful thought when one considers his roll call of honours. The legend of Pelé was forged on the rugged pitches of Sweden at the tender age of 17, as the nimble youngster danced around the uncompromising challenges thrust his way to score six goals and secure Brazil’s first World Cup. If it was inconceivable that a 17-year-old could have such a seismic impact on he grandest stage of all today, in 1958 the lack of intrusive, instant, incessant global media allowed a prodigious talent to do what he did best: just play. As the King of Sweden shook hands with the wide-eyed boy from Santos before kick-off, he should have realised he was greeting a phenomenon who would have a major influence on the game, but could hardly have been expected to have foreseen the lifelong effect the ensuing two hours would have on the worldwide conscience. Skip forward 36 years and another Brazilian wunderkind is about to play a part in a World Cup final. This time, however, the subject remains on the bench as his more experienced team-mates play out one of the dreariest finals the tournament has seen, thanks in no small last to the searing 27-degree Californian heat. The portents for what lay in store were not directly evident on the Pasadena pitch given Ronaldo’s lack of participation in the 1994 final, but a clue to one of the most debated and controversial episodes in his career was visible. Some of the kits worn that summer were garish and not particularly stylish – Jorge Campos’s psychedelic number stands out clear in the memory – and the champions’ faded yellow top, designed and produced by English sportswear manufacturer Umbro, was no exception. It was on the feet of 10 of the players in the squad that the most significant symbolism appeared, however. Eight players on the pitch were wearing Nike boots at a time when the Portland-based manufacturer was still mostly focused on the basketball and athletics equipment, but this was about to change. The founder of Nike, Phil Knight, immediately decided to pursue sponsorship of the Brazilian national team in the wake of their success in front of the highest aggregate attendance in World Cup history on his home soil. The surge of interest in the game was designed to spur on the fledgling Major League Soccer two years later, but Knight was already setting his sights much further afield. Two years later, he signed what would become one of the most controversial and ground-breaking deals in football, as he handed over $160 million for 10 years of exclusive supplying rights for all equipment, including kit, to the most marketable and popular brand in the game. From the outside it seemed like a match made in heaven: the swashbuckling entertainment of the Samba Boys mixed with the global exposure of Nike saw a string of commercials and campaigns that broke new ground and popularised the carefree, attacking instinct that Brazil had become famous for. Ronaldo himself had hit the ground sprinting, scoring 30 league goals in the Netherlands for Romário’s former club, and although a knee injury curtailed his second season he had exploded onto the European conscience enough to secure a $20 million move to Bobby Robson’s Barcelona – and his first FIFA World Player of the Year award. After his first season with PSV, he had helped Brazil to the final of the Copa América, and the money kept flowing towards him. It wasn’t just the obvious appeal his style had with the fans, but the humility and Joie de Vivre with which he carried himself off the pitch. 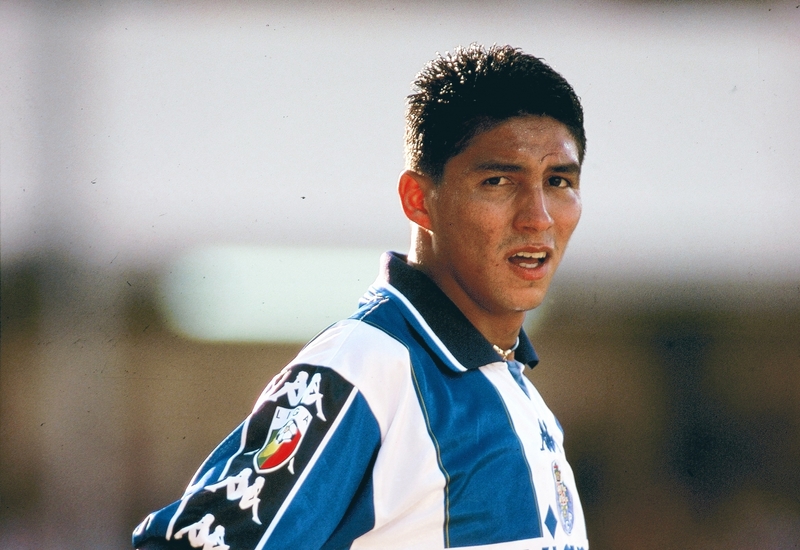 It wasn’t until his move to Inter Milan in 1997 that he began his life in the gossip pages as well as the sport ones when he began a relationship with the Brazilian model Susana Werner. After his arrival at the Camp Nou, Robson famously complemented his simple approach to attacking football, and on a more personal level found a real personal connection. “He’s a good boy, a good chico,” the fatherly Englishman said of his 20-year-old talisman, who notched up an astonishing 47 goals in 49 games in all competitions for Barcelona. The Nike mega-deal that began the endless corporatisation of Ronaldo and his international teammates had been signed by Ricardo Texeira, president of the CBF, the governing body responsible for Brazilian football, who was later implicated in illegal financial activities. A company that had held the marketing rights to the Brazilian national team, Traffic, was paid an extra $40 million for ‘additional marketing fees’ according to an indictment by the US government this year, something the CBF denies. What was clear from the contract that was studied by prosecutors was that the Brazilian authority could nominate a bank account of its choosing, and many of the scheduled payments were joined by unexplained transactions in a number of different accounts that remain unexplained by the CBF. These sums were unheard of at the time, but it was another clause in the contract that has sparked wild debate, one which Ronaldo himself has confirmed. 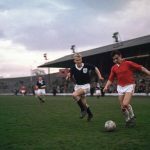 As well as the corporation’s right to dictate where and when lucrative friendlies would take place, the star player, who was on the verge of joining Barcelona for a world record fee by the time of the deal, was obliged to play for the national team at least once every two years. It seems a minor detail, especially given that Brazil would need little motivation to select the explosive striker, but in the context of events two years later in Paris, it becomes a touch more sinister. France 98 had reached its denouement and the hosts were set to play every neutral’s favourite side in a contest of two great entertainers. The battle between Zinedine Zidane’s more languid, graceful playmaking and Ronaldo’s awesome power and bedazzling skill was set to be the ultimate focus of the ultimate game. The tournament had between expanded to 32 teams for the first time, with the sponsors piling up; in business terms, this was Adidas versus Nike. The German manufacturer had secured an agreement with FIFA years before to become the exclusive World Cup provider of equipment, and their logo adorned the French shirt. Even the footwear was a straight battle between the Predator Accelerator and Ronaldo’s Nike Mercurial. Whether the Nike connection was also directly influential or not is still an unknown factor, but their interests were certainly served by having the most in-demand sportsman in the world on the pitch during the most watched event on TV. The interests of the team, however, were clearly not served by his forced inclusion. Folha de São Paulo newspaper claimed that even before the final there was disharmony caused by Ronaldo’s apparent depression, with team captain Dunga supporting the wayward sensation and Leonardo, amongst others, against his toxic presence. The result was all too predictable, as Zidane’s brace of headers and an Emmanuel Petit breakaway goal sent the hosts into delirium as they lifted the trophy. The slumped shoulders of Ronaldo, with his Nike branded boots hanging around his neck, was a picture of despair, nihilism and finality, but this was a man who had only just passed 21 years of age. The picture tells two distinct stories, equal in scale and importance; firstly, it told of his vital influence over the team, but perhaps more poignantly, it spoke of the enormous pressures being faced by a very young man in the unsettling glare of the world’s attention. The knee injury that he suffered in Eindhoven had turned out to be only a minor speed bump on his route to goals and fame at the time, but a recurrence of the problem reared its head once he returned to Milan. After the crushing disappointment in the Stade de France, he took the only remedy that could cure him – goals. By the end of the 1998/99 season, he had racked up an incredible 215 career goals for club and country as he inspired Inter to a UEFA Cup win, but his goals only told half the story. The Italian game was still emerging from the five-man defence, and here was this behemoth simply blasting through at a pace and confidence that had rarely been seen to such devastation. George Weah had joined cross-city rivals AC Milan in 1995 and between them, defenders were often left in a confused heap at their feet. The Liberian former African Player of the Year was sublime – just watch his incredible solo goal against Verona in 1996 – but even he couldn’t match the virtuosity of Ronaldo on such a regular basis. The symbolic goal of the season was in the UEFA Cup final against Lazio. Sent through on goal and faced with Luca Marchegiani, he dipped his shoulders twice in rapid succession in opposite directions leaving the hapless keeper flat on his backside, his feet a mesmeric blur, leaving an empty net to roll the ball home. The seemingly effortless nature of his finishes belied his strength on the ball and boldness to find a gap where others saw none. 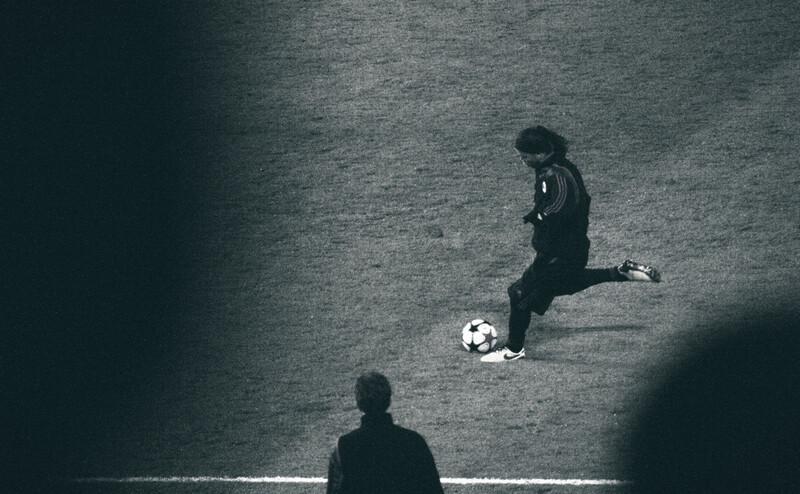 This was an unstoppable force of nature, a true phenomenon, and it seemed impossible to try to stop him. There was one opponent, however, who would creep up on him and overcome his dominant on-pitch character: injury. In the last November of the millennium, his knee gave way on the pitch in the 6-0 demolition of Lecce as a ruptured tendon kept him out for four months of rehabilitation. When he returned the following spring, he lasted a few minutes before crumpling in excruciating agony, clutching the very same knee. This time, he would miss more than an entire season as he required further surgery. A year after the second incident, he was hauled up in front of a parliamentary hearing of the Brazilian Congress. The purpose of the cross-examination was to investigate the possible influence that Nike had imposed on his participation in the World Cup final in France, but Ronaldo batted away the odd questions about the defeat and the tactics used with an almost bemused indifference. Some senators had wanted to establish the cause of his convulsions before the final as having been caused by the extreme pressure put on him by the weight and terms of the contract with the American corporation, but no hard evidence could be found. The contract did reveal that the national team were obliged to play in at least five global friendlies with at least eight first-team regulars on the pitch, but did not expose a clear incriminating clause that proved they were the perpetrators of the downfall of Ronaldo’s health, both physical and mental. 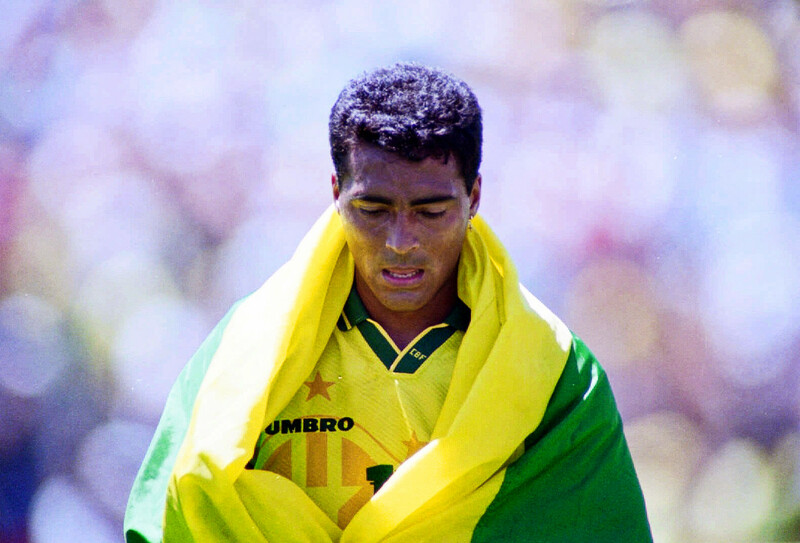 For the last two decades since this deal was arranged there has been a deep-rooted mistrust in the sponsorship of the famous canary-yellow shirts. Scapegoats have been found to satisfy the last for answers in the course of public opinion, but an inadvertent side effect was that Ronaldo was placed right into the centre of the whole saga. 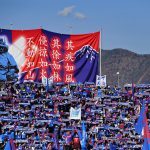 Depression is perhaps one of football’s last great taboos, and in light of the suicide of German goalkeeper Robert Enke, awareness is slowly improving, but at the turn of the millennium acknowledgment and understanding was scarce. Whether this affliction affected Ronaldo or not, it became clear that the only true escape for him was to hide in plain sight on the pitch. There, he was the undisputed king, and he ruled supreme: his palace was his sanctuary. 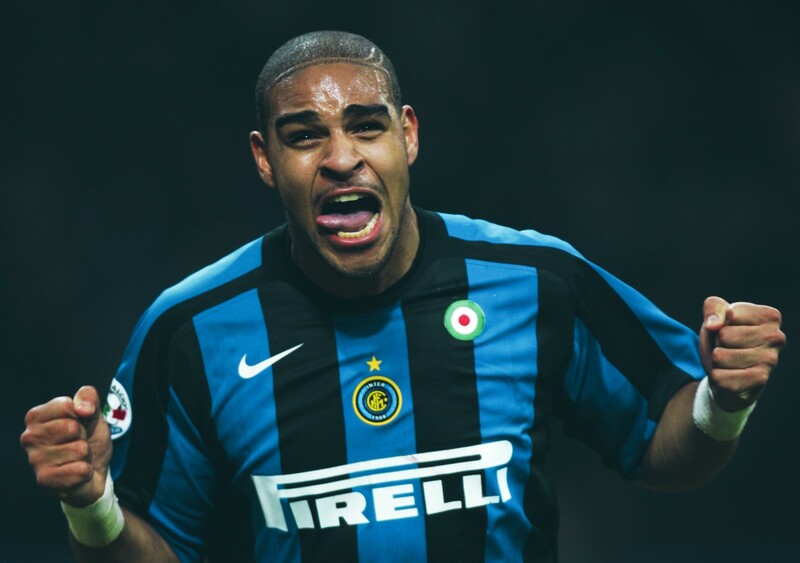 After finally returning to the San Siro pitch for the last few months of the 2001-02 season, he regained his fitness in time to regain his place in the Brazil squad for a chance at redemption in Japan and South Korea. By now his knees were as much in focus as his dazzling feet, but he drew comparisons with his early Inter days to score in every match except the quarter-final against England, when Ronaldinho scored an audacious long-range effort over David Seaman’s despairing dive. After the final, which was watched by the French surgeon who had painstakingly worked to rehabilitate him for those two dark years, Gérard Saillant, Real Madrid president Florentino Pérez moved to add Ronaldo to his Galácticos by paying Inter €46 million. His knee caused him to miss out the start of the season, but 23 league goals later he was a Liga champion. It was during this campaign that one performance demonstrated the hypnotic effect he instilled. After completely dominating a Manchester United side who had been crowned European champions less than four years earlier in the first leg, Real travelled to England full of confidence. Fabien Barthez was the man tasked with keeping him out, but his positional sense was highly suspect for Ronaldo’s first goal as the Brazilian blasted a shot from the edge of box inside his near post from Guti’s perfect through ball. Roberto Carlos laid on a tap in for an easy second, before his mere presence sent Wes Brown backpedaling in the wrong direction before he unleashed a magnificent strike from distance to complete a hat-trick. The ovation he received from the Old Trafford crowd was unique. This writer was in the crowd that evening and can attest to the spine-tingling atmosphere that crackled around Old Trafford: while there was certainly an element of poor decision-making from his opponents in the first and second goals, there was a sense of witnessing something truly remarkable from a once-in-a-lifetime player. The fact that David Beckham came off the bench to take the tie to 6-5 on aggregate in Real’s favour, his second aggregate sublime finish itself, was virtually forgotten. Although he went on to score over 100 goals in Madrid, his troublesome knee prevented him from playing to his full potential for his whole stay. Three full seasons were followed by the arrival of Ruud van Nistelrooy in 2006, and in the following January he joined AC Milan after gaining weight and losing the faith of the most demanding directors and fans in the world. It is too sad to document the details of his playing career from here on in. The number of games and goals became smaller and smaller, although he did have a brief Indian Summer back in his homeland with Corinthians in 2009 where he won the Campeonato Paulista and the Copa do Brasil. His last real season of international football came during his time in Madrid, as he scored three goals in the 2006 World Cup in Germany, but he was offered a farewell match five years later in an unprecedented move by the CBF. So was it a tragedy? Did Ronaldo suffer a fall from grace? Certainly, although external sources were much more to blame than deficiencies in his character. Did the audience of Ronaldo’s career suffer a catharsis, feeling pity and fear for the great entertainer? Without question. Did they leave the theatre of his life in football purged of those emotions, feeling renewed and invigorated? Just think of that buck-toothed grin, and then answer that question. Of course there is an element of wonder at what more he could have achieved, but it would be churlish in the extreme to call it a failure on any level. It was a tragedy, but it was also drama, it was entertainment, and it was phenomenal. Obrigado Ronnie.